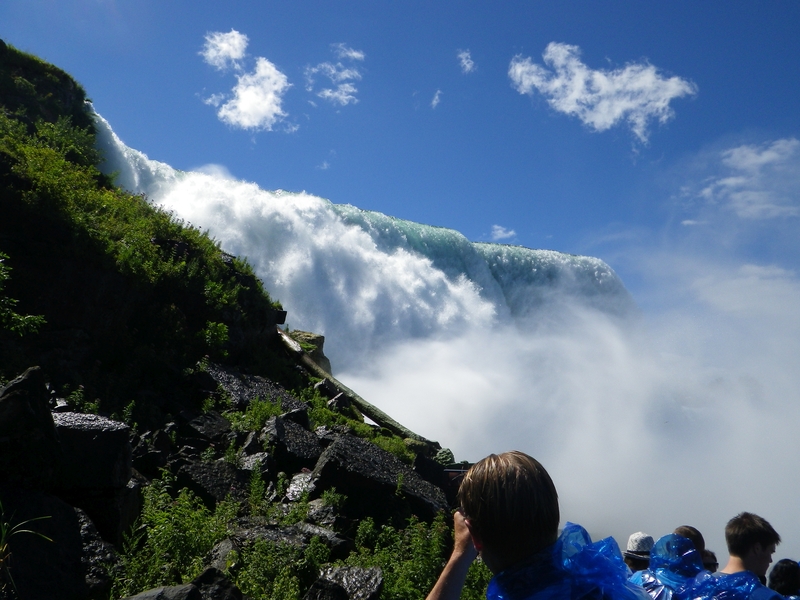 Anyone who has visited Niagara Falls has experienced “mighty waters”. The raw power of the blue water perpetually plunging over the precipice of dolomite rock left me somewhat speechless and in awe. This passage says that the glory and holiness of God thunders over mighty waters like these. His voice can be heard above them. What I find interesting and intriguing about this idea is that I do not get the sense that God wins a shouting match with the mighty waters. His voice is simply “over the waters” — it is majestic, different, other worldly rather than simply louder. It is speaking soul to soul above the earthly din. Elijah experienced God’s mighty voice not as a shout but as a whisper amid a great wind that required careful and practiced listening to hear (1 Kings 19:9-18). The voice of God is powerful and majestic. It has the power to “break the cedars of Lebanon”, “twist the oaks”, and “strip the forests bare”, but despite this awesome power God allows us the free will to ignore His mighty voice and be free of God if we choose. “The Lord sits enthroned over the flood” – God sits enthroned over the life “floods” that sometimes inundate our lives, and He gives strength to those who ask for it (his people) and through this quiet strength those who ask are given peace. I do not think this means that we will not experience “life floods”. It simply means we will have peace in the midst of the floods because we know that God loves us and has our back. “The voice of the Lord shakes the desert” – God speaks powerfully during both “floods” and in life’s “deserts” for those who have ears to hear. I take “desert” to mean those dry spiritual times that all Christians seem to experience at times as part of the spiritual cycle. Even spiritual giants like Mother Theresa spoke of having these dry times. In some ways dry times are more challenging than floods. The chaos and power of “life floods” often drives us to overcome our spiritual hearing problems, whereas the desolation of the “desert times” can lead us to despair and chronic spiritual deafness. Prayer: God give us ears to hear Your voice during both the floods and the desert times that we experience as try to faithfully follow You. This entry was posted in Christian Community, Christianity, Covenant, Discipleship, Faith, Following God, Free Will, God's Love for Us, Healing, Heaven, Life Together, Obedience, Psalms, religion, The Earthly Realm, The Nature of God, The Spiritual Realm, Trusting God and tagged bible, bible study, Christianity, Daily devotional, desert, faith, flood, prayer, spiritual valley. Bookmark the permalink.